Did Kim Kardashian Forget to Tell Scott Disick About Her Third Baby? Kim Kardashian had seemingly forgotten to tell Scott Disick that she and Kanye West were having a third baby. 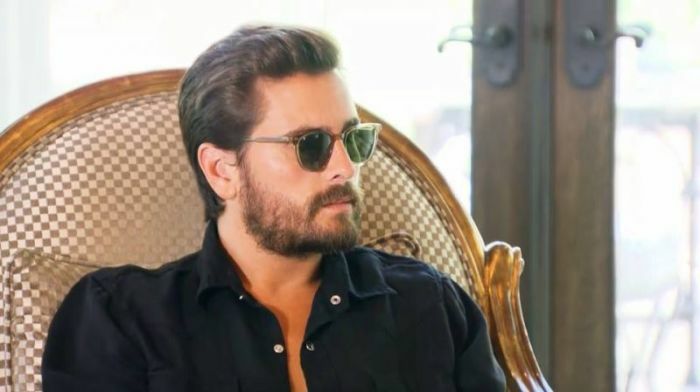 A teaser for Sunday's episode of "Keeping Up With The Kardashians" had revealed how Scott Disick came to discover that Kim Kardashian is having a third baby. The clip starts by showing Kourtney's ex-boyfriend and father to her three children — sons Mason, 8, and Reign, 6; and a daughter Penelope, 5 — coming over to Kim's place. Scott was taken by Kim to what seems to be a nursery in the making and discovers that she is actually going to have another baby. "I'll be quite honest. I don't even know what this room is," Scott told the 37-year-old reality star, to which she replied, "Nursery... So like the little open tub, crib." Scott then asked her if it's for another baby and is still confused, not knowing that the beauty mogul is actually going to be a mother for the third time via surrogacy. "Do you really think you need to worry about redoing these cabinets if this is going to be a nursery for a kid that you don't even have?" he asked. "Are you pregnant?" Scott finally inquires. For her part, it would seem that Kim is unaware that Scott doesn't know about her baby news and thinks he is just joking. She then directly asks him if still doesn't know that they're going to have another baby to which he replies with a laugh telling her he doesn't. Kim then went on to tell the news to a surprised Scott who then finally realizes the true nature of the pregnancy. He asks her if she's the one carrying the child. Kim then realizes she hasn't told Scott about her third baby which she and Kanye had decided to be conceived via surrogacy. The clip then ends with an exasperated Scott Disick who tells Kim he doesn't know what's going on anymore.